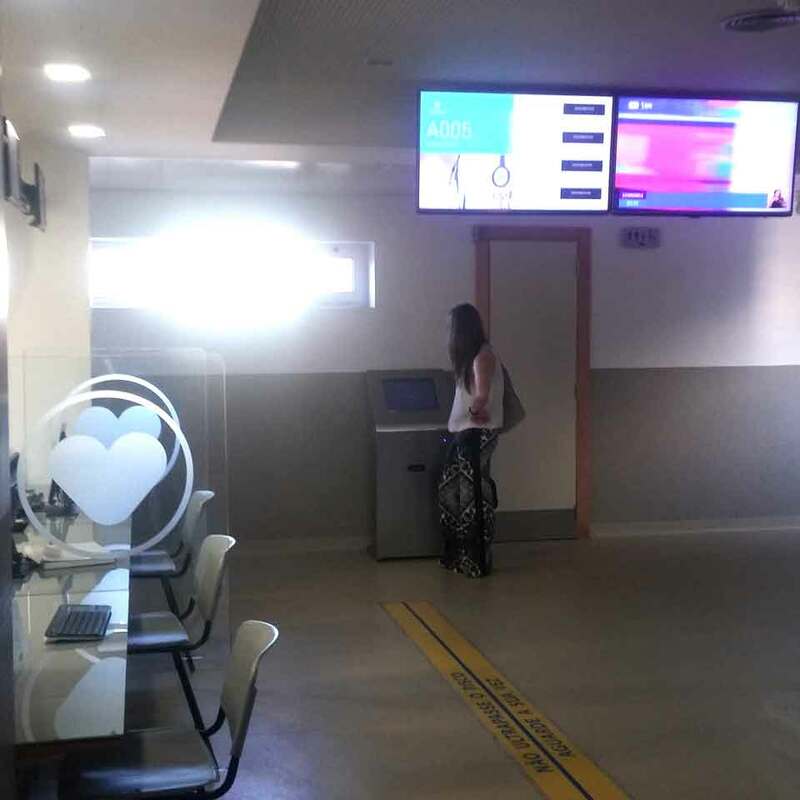 The Unidade de Saúde Familiar do Minho - USF has chosen the queuing management systems QMAGINE by PARTTEAM & OEMKIOSKS to automate the process of attending users who visit this health facility. 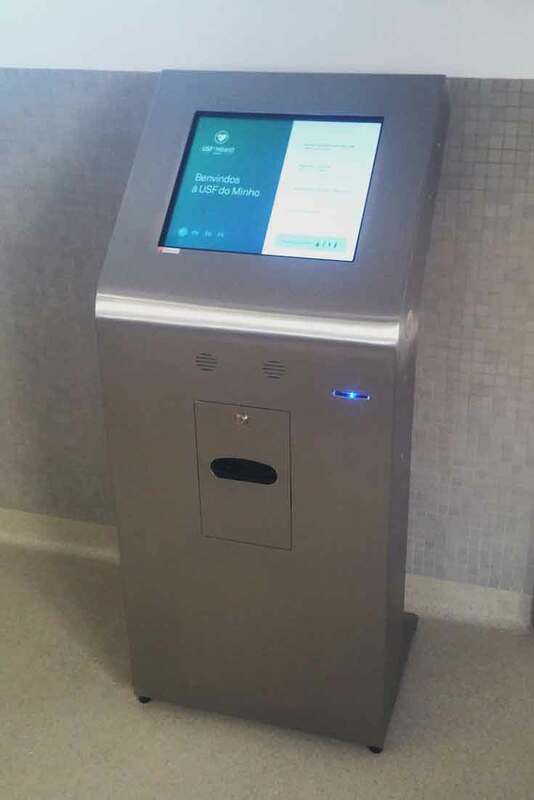 A 17" DINK touchscreen kiosk has been installed for the issuance of tickets, along with several displays for a service with multiple counters. An advantageous, functional and modern system that presents a quality service, in the attendance. 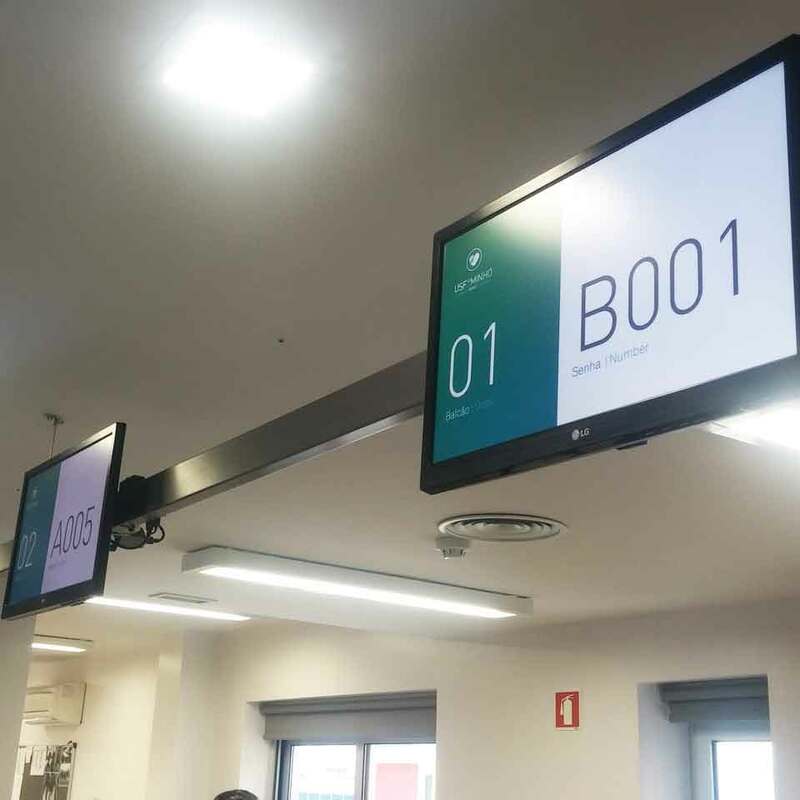 The display not only displays the password number and service desk, but also, forwards the users to the waiting room for queries. An important channel of communication with the waiting public, presenting also different contents and information such as news, temperature, etc. Advances in technology must be applied to health. 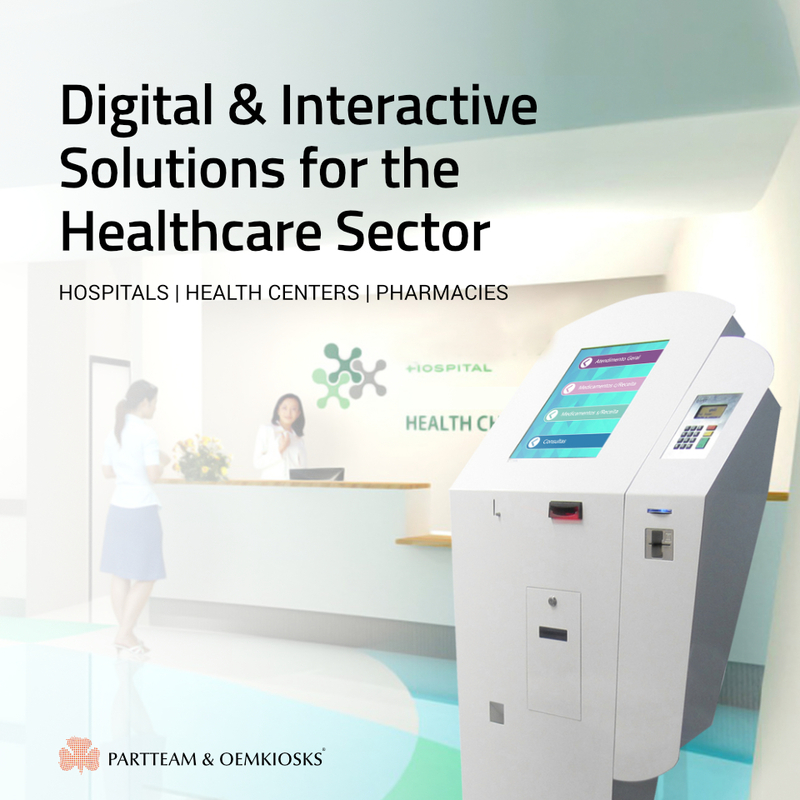 Generate benefits to patients, offering through interactive systems, more tranquility and transparency, organizing and optimizing tasks within health units, hospitals, pharmacies, etc. 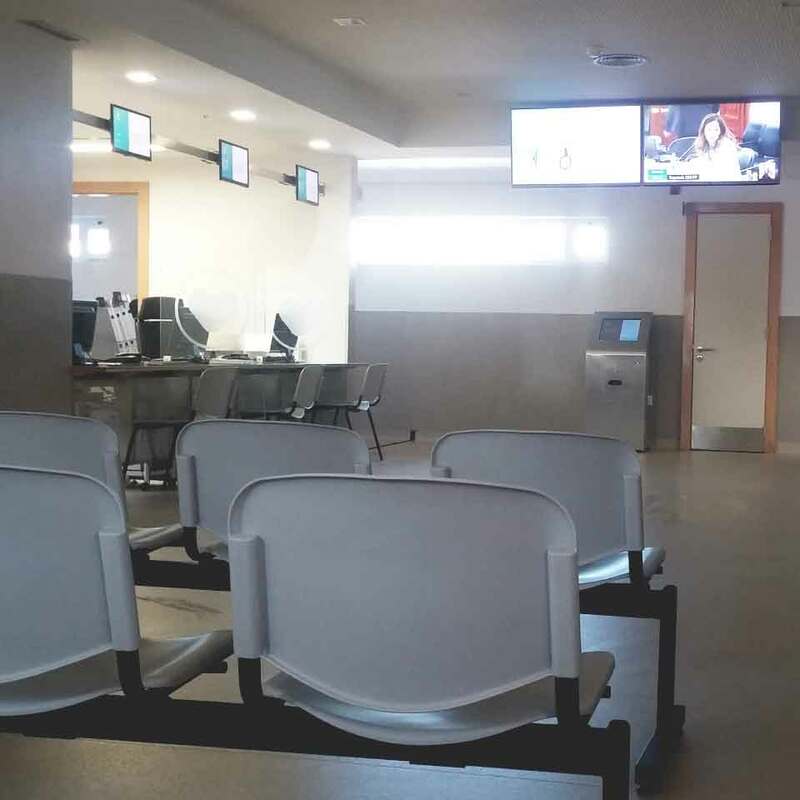 A queuing management system in health facilities improves not only the management of work and productivity but also manages to ensure the well-being of waiting users. With QMAGINE solutions by PARTTEAM & OEMKIOSKS, it is able to increase the fluidity of the customer service and, thus, ensures a greater satisfaction on the part of the users. The service with quality is a differential !